Apple’s new custom T2 Security Chip is installed in all new Macs these days. My wife’s new 2018 MacBook Air includes a T2 chip. 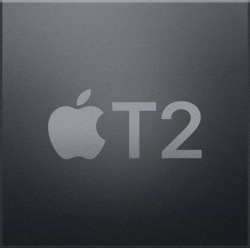 The T2 chip is right in line with Apple’s emphasis on security. It enables Touch ID login, but it also can cause Mac users some grief because of the increased security it provides. Data on the built-in, solid-state drive (SSD) is encrypted using a hardware-accelerated AES engine built into the T2 chip. This encryption is performed with 256-bit keys tied to a unique identifier within the T2 chip. This is not FileVault encryption, it is hardware encryption. If someone gets your Mac and removes the hard drive SSD, they will get nothing off of it because of T2 encryption. The flip side of this is if the SSD fails or becomes damaged somehow, your data is toast. So, a good backup is in order, especially for these new machines!! This Utility is accessed in the macOS Recovery Mode. Just hold down the Command ⌘ Key and the Letter “R” at the boot chime. This will log you into the Recovery Mode. The Startup Security Utility App is in the drop down menu. 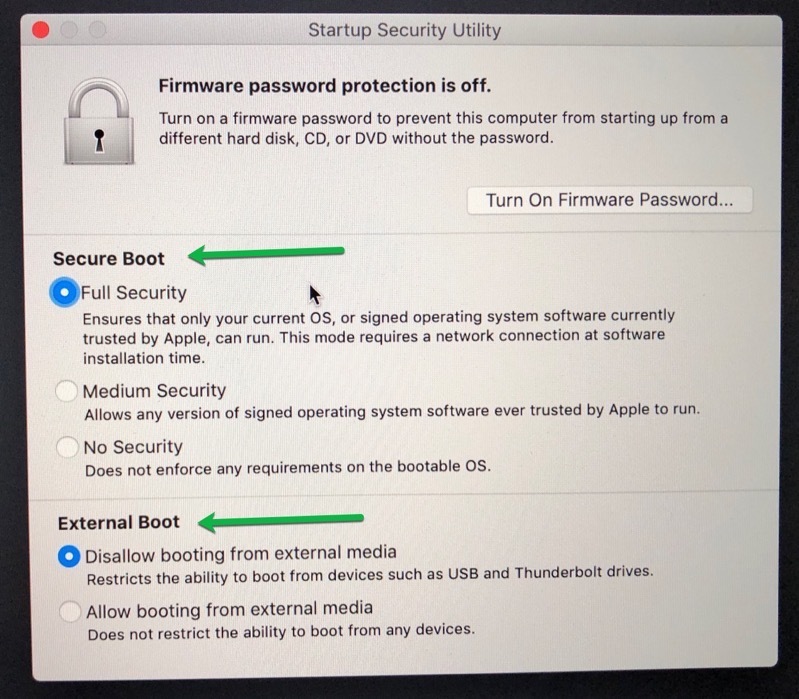 You do not need to have your machine setup as secure as Apple does from the factory. The above image displays the Default Settings. I have chosen to leave them, but you can change them if you wish. Just make changes carefully, the more secure the better as far as I am concerned. I think the new T2 chip is a good thing overall. However, it could cause you some issues depending on how your Mac security is setup. As always, a good backup (or two) is in order.